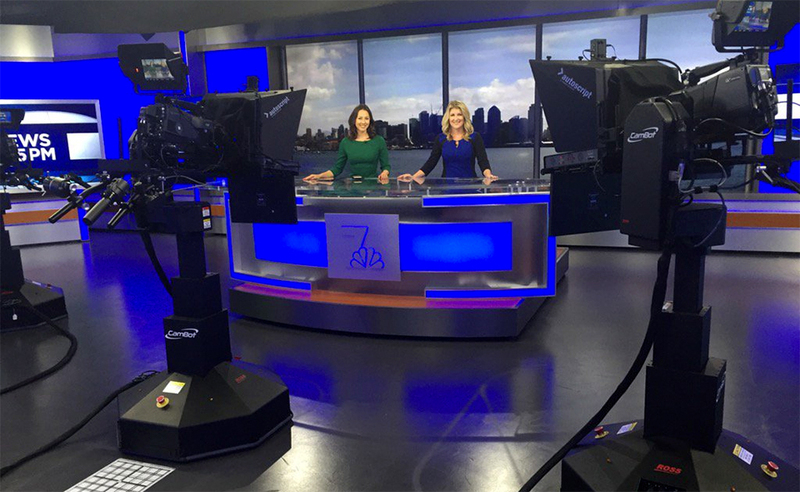 After moving across town to a new facility, NBC San Diego took the wraps off its new studio on Sunday night during the 11 p.m. newscast. 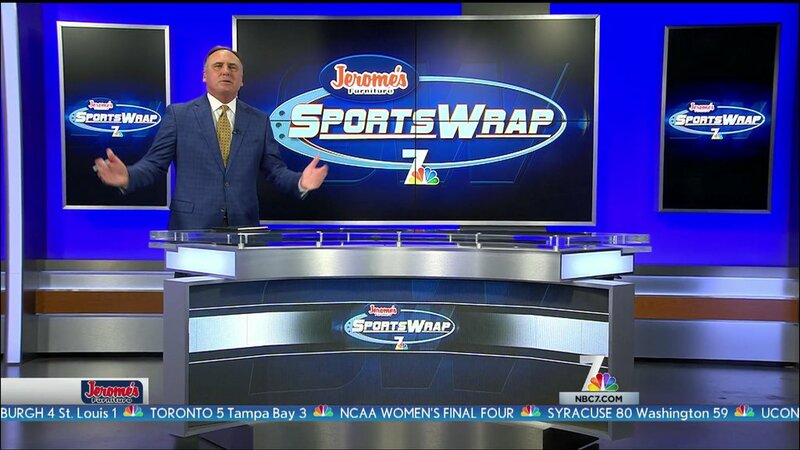 Designed by Joe Lamberta at Jack Morton PDG and fabricated by blackwalnut, the set features ample technology with wraparound backlit LED walls that change color for various shows or news events. 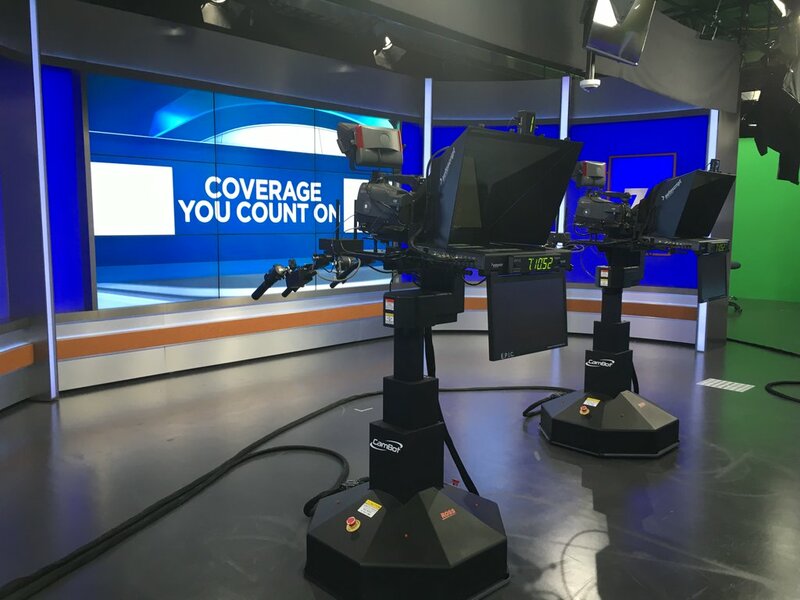 The sets homebase includes a 5×1 vertical monitor array, similar to other NBC O&O’s, with an internally illuminated anchor desk that features plexi and an extruded NBC 7 logo with subtle backlighting on a wood topped riser. On the right, multiple vertical and horizontal monitors provide areas for standups along with a secondary desk, located in front of a 2×2 monitor wall. The desk, which is fronted by an array of LEDs, is used by the stations “SportsWrap” program, along with for interviews and other special shows. 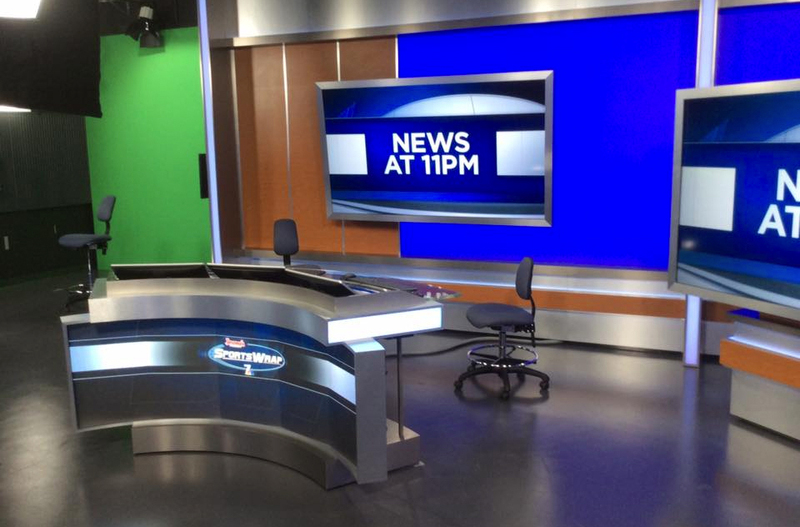 Directly across from the anchor desk, a 3×3 monitor wall is flanked by light blue backlit columns and four vertical monitors. On the left of the anchor area, a small weather area includes a matching desk to the secondary area, with multiple monitors. This area includes a wood paneled wall, along with the backlit blue wall. 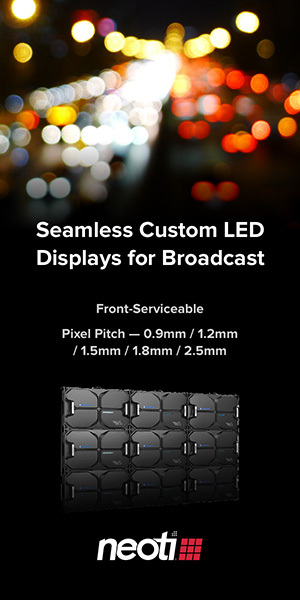 Through its use of backlit walls and technology, the set has a large amount of flexibility for producers, allowing any part of the set to play multiple rolls. The weather center, for example, could easily serve multiple purposes as it has no “hard branding,” besides a few extra computers in the desk.